The Remington F.A.S.T. 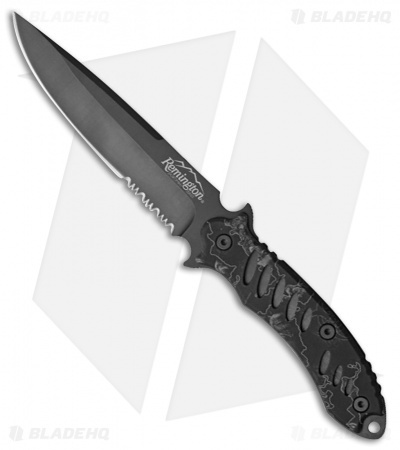 Black fixed blade knife has a durable blade and a handle that offers a sure grip, perfect for any tactical situation. Black finished 440 stainless steel blade with partially serrated edge and full tang. Aluminum handle with Reaper Z pattern.